BTOBET DISCUSSES NEW LEADING PARTNERSHIP IN NIGERIA. During its exclusive roadshow and the VIP dinner organised in Lagos, BtoBet presented the new technology features of its platform to existing clients and tightened new partnerships with local companies willing to develop their business in the region and acquire new market share with BtoBet. With 150 million mobile users in the area – 52% of the population – and an increasing interest in mobile shopping, the Nigerian gambling market is showing clear signals of being ready to step towards mobile and online. However, the evolution from retail to mobile is challenging; in fact, it requires more than a simple creation of a mobile page. During the recent show in West Africa, local operators had the possibility to discover how to expand their business in Nigeria with the right tools and fitting technology. 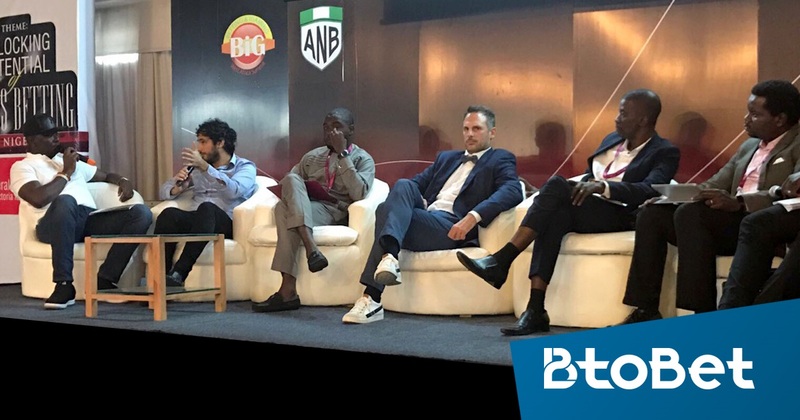 BtoBet’s chairman Alessandro Fried was a speaker on the panel “Making the most of growing opportunities in Africa”, showing his vision of how local operators must be prepared to step into the developing scenario towards mobile. Late operators, that couldn’t take part in the roadshow in Lagos, have the possibility to ask for a demo by calling +356 27135974 or writing to sales@btobet.com.